This isn’t food, but this happened today and I’m really angry. I just needed to get it off my chest and, well, this is the loudest platform I have! Hi, it’s me, the mom with the almost 12-year-old tween who spent hours in store and online today searching for the perfect daddy daughter dance dress. My daughter is so excited for her final daddy daughter dance and had been looking forward to our shopping trip all week long. She’s in sixth grade now and her dad is still the apple of her eye, her hero, her protector. Even though her friends are creeping in, her computer and phone calling to her after dinner instead of sitting to watch the newest shows with us, she is still enough of a little girl to be excited for this dance. She’s even been planning how to convince her dad to buy a matching tie to whatever dress color she chooses. My daughter is a beautiful girl, inside and out. She loves to dance and does it like no one is watching. She takes three dance classes each week and when she’s not in class she’s playing music and making up her own choreography. She’s active and fun and a budding young woman, one that I am so proud of. She’s also not rail thin, nor will she ever be. She comes from a long line of beautiful and curvy women and while her body and mind is still that of a young girl, she’s starting to show signs of the woman she will become. Unfortunately, to my dismay, she couldn’t find anything she liked at Justice. While I have dislike for that store for other reasons (mainly that my credit cards cannot handle the cost), I like that they have sizes up to 20, and half sizes in between. Nothing is labeled “plus” or “XXL” so my daughter can usually find stylish clothes she likes that fit and not think twice about her size. Because Justice didn’t have anything she liked, we had to move onto department stores. And that’s when I got so very, very angry. And hurt. And sad…and then angry all over again. Macy’s, Nordstrom’s, Sears, JC Penny, and Kohls stop their “big girls” sizes at 16. After 16, if you can even find them in the store, they’re called “plus sizes” and range from 18-plus to 20-plus. At Macy’s we couldn’t find anything bigger than a 16 on the regular racks. In case you were wondering, “big boys” clothing goes up to size 20. Let that sink in for a second. After nothing could be found in the girls section, we tried Juniors. Now, to remind you, my daughter is 11 (almost 12) and in the 6th grade. Junior clothing has change a whole lot since I was a kid, according to the dress selection at Macy’s. Next year my daughter will get to dress up for boy-girl dances wearing dresses with cutouts and that need special underwear that won’t show. I then went online to find dresses that will fit her, in the “plus section” of the websites. JC Penny, Kohls, and Sears had a good selection of “18 Plus” dresses. Yes, that’s what the size is; not 18 but “18 Plus”. If you’re over size 16 at Macy’s you’re out of luck unless you want jeans or a school uniform. And if you love shopping at Nordstrom, forget it unless you’re looking for a flower girl gown. At the end of the day, after spending hours in store and online, I spent over $200 on dresses (in case the one she liked doesn’t fit right) and expedited shipping costs, and I was angry. Oh, so very angry. And sad. When I was Jordan’s age I was in her same predicament. I wasn’t rail thin like my friends. I had a little extra fluff but wasn’t a big girl, yet I couldn’t shop in the regular section of the store. Instead, I had to find the section with the big “PLUS SIZE” sign over it, the one that was in the corner of the department store with the plate glass windows, overlooking the busy street. 29 years later, in this age of empowering girls, I am shocked and saddened that nothing has changed. Girls are still being told, as young as 10, that there is something different about not fitting into size 7-16. Girls at age 12 are still growing. Their bodies are changing and here we are, in 2017, still telling them that they’re fat if they’re not the status quo. That being bigger than a size 16 before you’re ready to move onto juniors clothing is bad. That it’s okay for boys to be a size 18 or 20, but not girls. Shame on the department stores, the fashion industry, the magazines, and everyone who has allowed this behavior to continue. My daughter is beautiful, my daughter is strong, and I’m going to do everything in my power to make her know it. Shame on you for not helping me do it. I too would get angry when shopping for my two sons. I would find lots of “husky” or “relaxed” but try finding slim waist with long length. My oldest was under weight for years and would be teased for it. . Clothes manufacturers need to stop making clothes for their ideal image of perfect and start making them for real people. When reading this I thought you were telling me about a day I had recently with my 12 year old who is in grade 6 too and wears an adult size 14 and is well over 5′ 4in. (not sure what that is in the USA). Tears were abundant and this was not just from her. It is a sad situation that is world wide. I hope the department stores and their designers are listening. It’s so frustrating! Thank you for reading! BRAVO Dorothy!! When I was younger I was not overweight or overly tall, but I had curves. Mom had to shop in the Women’s section for me when I was about your daughter’s age. Yes – we went through the XL/XXL sizing issues too. I am now in the same boat with my daughter who is petite but curvy. NOTHING fits!!! What’s with the pants that don’t cover behinds, and the shirts that don’t cover chests. It’s no wonder girls and women have trouble loving themselves! Fortunately Mom taught me to sew. It used to be cheaper to make your own clothes, but that is no longer the case. I have become a master at alterations. But I hate spending the large sums to cover the prices that are charged for women’s clothing only to have to hem, tuck, dart, pleat, etc. to get the clothes to fit properly. Thank you for sounding off about this issue – and for letting me do the same. Good luck to you!! We live in Canada and it’s the same problem here. The Justice store does carry up Size 20 but only in shirts, there are very few styles of pants in size 18 & 20. Dresses are not available and if they do exist they are so inappropriate for a 13 year old. 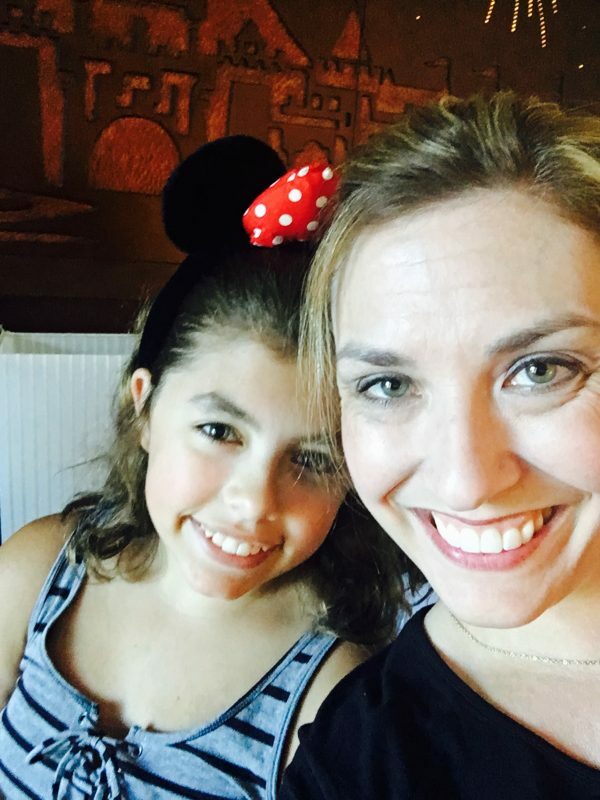 My daughter has a few curves but is not over weight or underweight – just right for her. But we have to go all over the place to find anything that she likes and it fits. I had the same problem when my son was going into a size 18, we had a store called Zellers and they carried that size but after they closed we had to go across the border to find size 18 & 20. As an adult, I find it’s very hard to find clothes to fit as well. Manufacturer’s need to wake up and actually make clothing that fits a variety of different body types for everyone. Thank-you for posting your story!